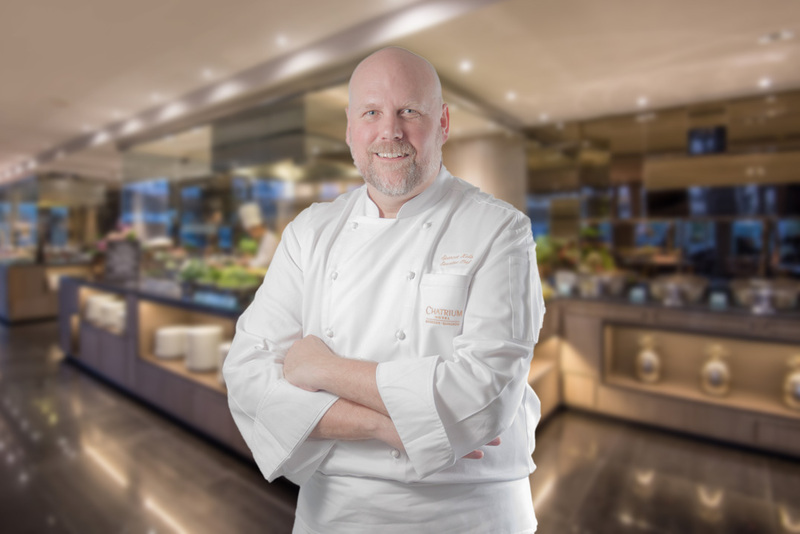 General Manager of Chatrium Hotel Riverside Bangkok Mr. Patrick Manthe is delighted to announce the appointment of Chef Spencer Kells as the property’s new Executive Chef. Chef Spencer, a British national, brings a wealth of skill and knowledge to Chatrium Riverside with over 30 years of culinary experience in high-end hotels, restaurants and resorts across the globe, including America, Australia, Barbados, England and Thailand, where he has worked for such hotels as Mandarin Oriental, Anantara, Sheraton and Sofitel at the Executive level. His position prior to joining Chatrium Riverside was as Director of Culinary & Service at Mai House in Saigon Vietnam. “I am absolutely delighted to join the team at Chatrium Riverside and relish the opportunity to bring my personal touch, demand for perfection and innovative ideas to a whole new group of discerning diners. With its incomparable location beside the Chao Phraya River and renowned comfort and service excellence Chatrium Riverside is one of the most desirable properties in Bangkok. I am looking forward to the challenge of working with Chatrium’s team of skilled chefs to bring a range of delightful dishes that truly complement the Chatrium experience.” Chef Spencer said. Experience Chef Spencer culinary at River Barge Restaurant. For reservations, please call 0 2307 8888 ext 1923 or e-mail: riverbarge.chrb@chatrium.com. Previous PostPrevious Maitria Hotel Sukhumvit 18’s Loved by Hotels.com Guests!